Sometimes truth is stranger than fiction. Thus, a wide variety of circumstances led to the designer Markus Heckhausen (today CEO of AMPELMANN) saving the two East German Ampelmännchen and preventing them from being phased out. Designers go through life with their eyes open. Foreign countries, where familiar things are designed differently, are of special interest to them. “It was an unknown country of this kind that I entered at the end of the 1980s”, says Heckhausen. In November 1988 he attended a design congress in West Berlin with three university friends. But in the divided Berlin, “the East” was much more exciting. “For us the foreign world was the eastern sector of the city. We drove over the Heinrich-Heine-Straße border crossing on a one-day visa. 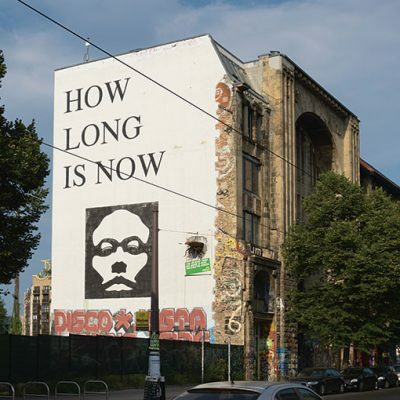 Our first destination was Alexanderplatz, the most famous square in East Berlin with its world clock and television tower: it was vast and empty.” Heckhausen was fascinated. That was where I first met the Ampelmännchen for the first time. 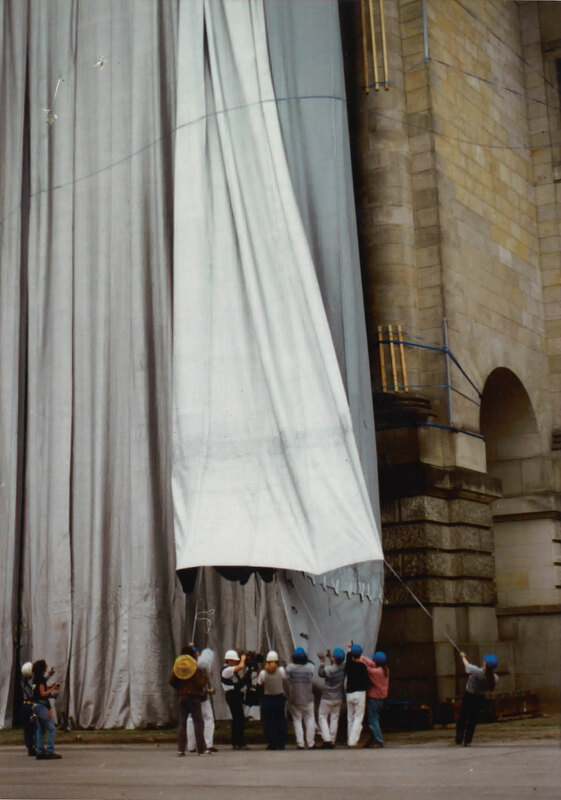 When the Berlin Wall came down, everything changed: the city of Berlin, everyone’s attitude to life, Markus Heckhausen’s world and so many other people’s world. The artists’ initiative Tacheles saved the impressive ruined department store on Oranienburger Straße from being torn down. 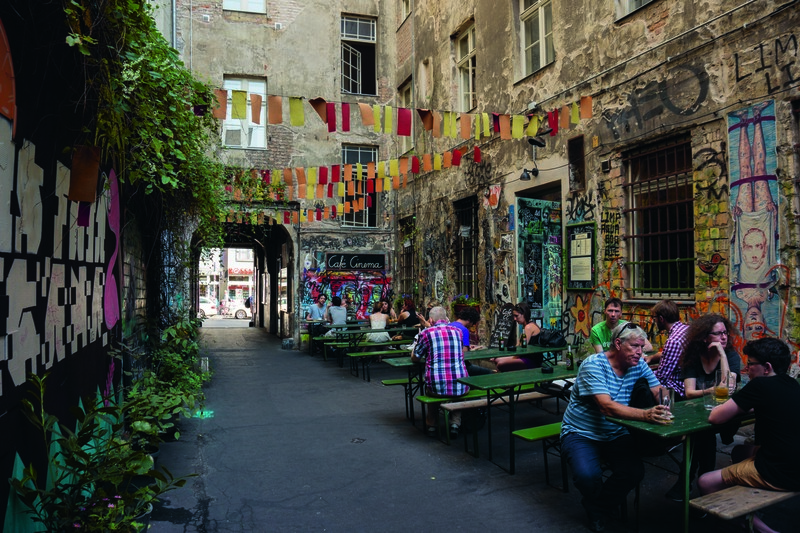 The site contained everything creative types need: plenty of studios, stages, a cinema, cafés and bars, and the huge beer garden even had a Russian jet fighter built into the wall. 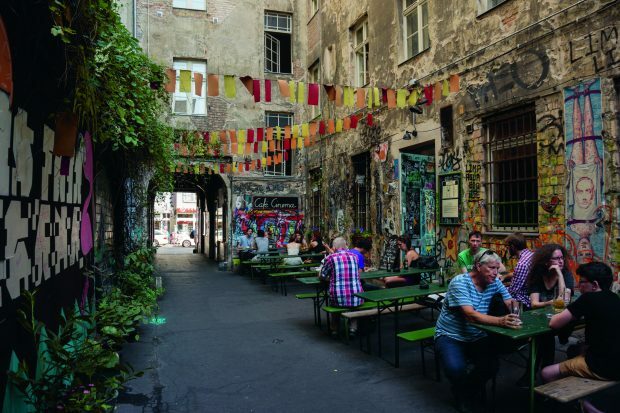 The club scene in Mitte: “Before the Wall came down, you had to search for a long time to find a bar, but now there were new ones opening every day, sometimes with a licence to sell alcohol and sometimes without. Some of them only lasted a few weeks, others such as the Café Cinema are still there today. Legendary clubs opened in empty buildings: the Eimer, the WMF, the Bunker, the Tresor and the E-Werk”. (Markus Heckhausen). But there was also another side. In conversations with neighbours, acquaintances, and citizens of the former German Democratic Republic, Markus Heckhausen soon felt the “growing frustration”. After the euphoria of the unification celebrations, the sober reality of everyday life had set in. Two societies that had lived apart for more than 40 years had to coalesce – but this wasn’t something that could be done to order: “The people here had become federal German citizens overnight, and had given up or lost much of what had been around them all their lives, in exchange for the enticing things from the West.” Jobs and many trusted institutions from the GDR ceased to exist. 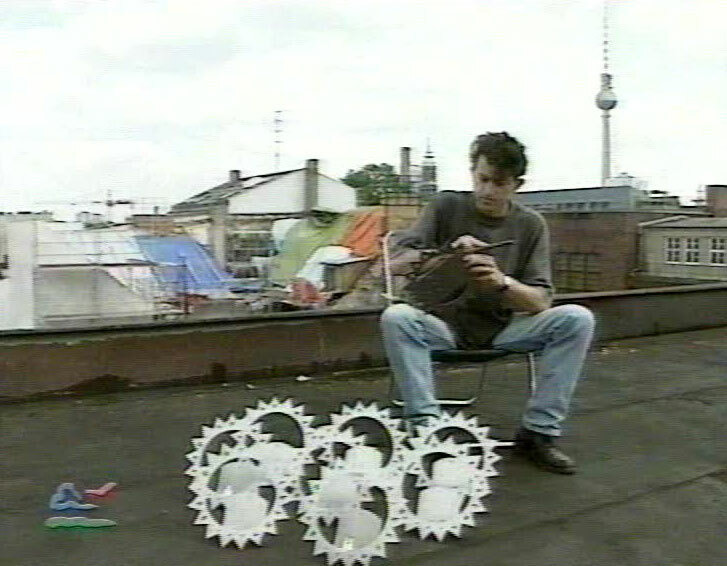 Working on the roof of his apartment in Auguststraße, Markus Heckhausen manufactured the first AMPELMANN product: the traffic light lamp. When even the friendly East German pedestrian crossing lights were dismantled, Markus Heckhausen became annoyed. With his imagination fired by the explosion of creativity all around him, he had an idea: to use the traffic lights that had been written off as “useless” to create his products. So the next time a set of traffic lights was dismantled right before his eyes, this time on Rosenthaler Platz, he got hold of the coloured traffic light glass without further ado. There was this humorous figure full of character in the public arena, and they wanted him to disappear? How would Heckhausen’s traffic light lamp go down with the public? “There was a monthly tour of the galleries in Mitte, and I converted the entrance to our building into an Ampelmännchen gallery and displayed my first six models there. The positive reactions were a great relief!” This encouraged him to carry on. The press started to pay attention too. City newspapers and one of the tabloids printed whole-page articles. 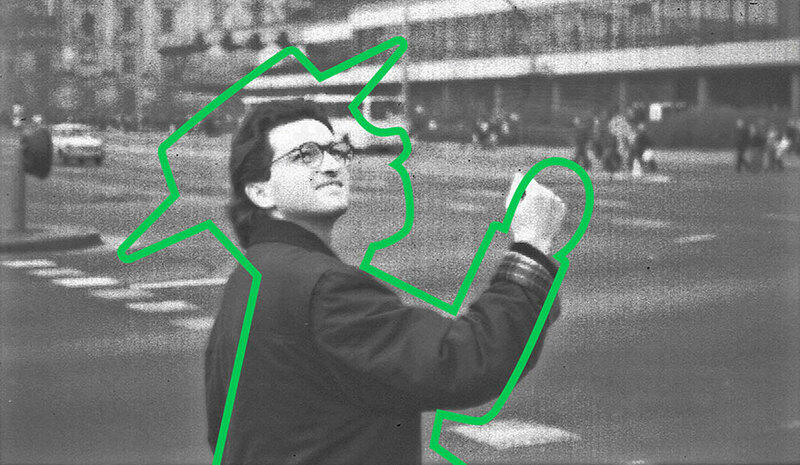 “In summer 1996 I had a phone call, asking if I would like to meet the inventor of the Ampelmännchen.” Of course Markus Heckhausen wanted to do so, and this was the start of their wonderfully friendly work together. 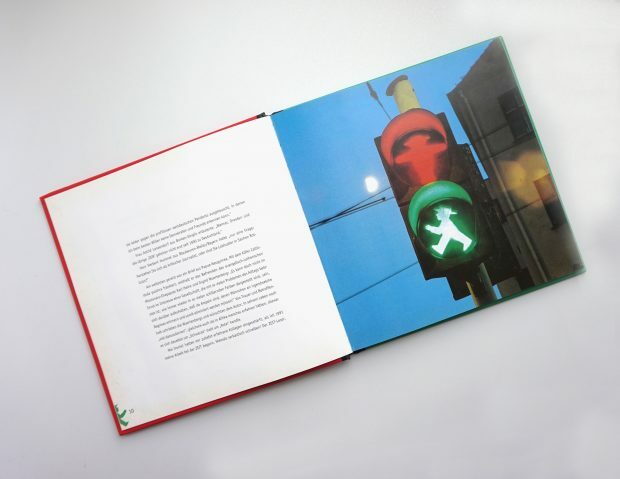 The more Karl Peglau told him about the story of the Ampelmännchen, the more Markus Heckhausen longed to preserve this unique knowledge and make it available to the public – in the form of a book. In his book Markus Heckhausen tells the story of the East German Ampelmännchen on a factual basis, setting it in the overall historical context and the social upheavals he himself had lived through: the days of the two Germanys, the fall of the Berlin Wall, reunification and monopolisations, art and culture in Berlin-Mitte. For the AMPELMANN CEO Markus Heckhausen, his cooperation and friendship with Karl Peglau and his wife is the most profound and personal part of both the history of his company and also his personal biography of Berlin. He feels obliged to the father of the Ampelmännchen, and runs AMPELMANN like a family that works together to take care of the well-being and continued existence of its star. 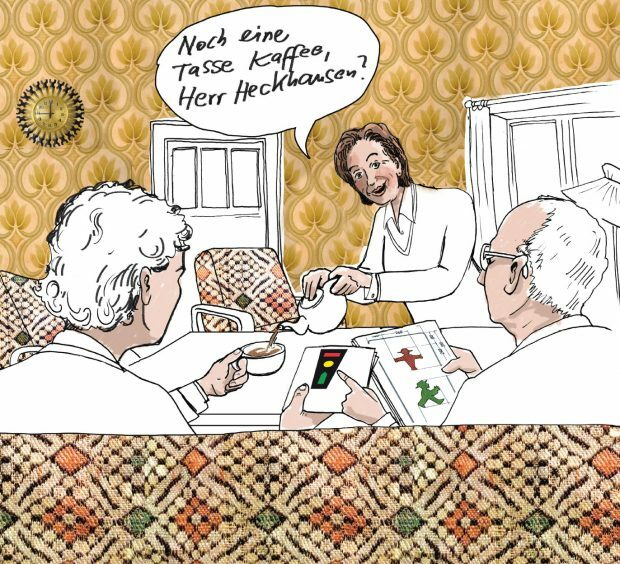 And naturally this family still includes Hildegard Peglau, who regularly visits the team at their present place of work in Sophienstraße – and who accompanied the two men with her charm that day when they drank coffee together in Pankow. And what about AMPELMANN today? 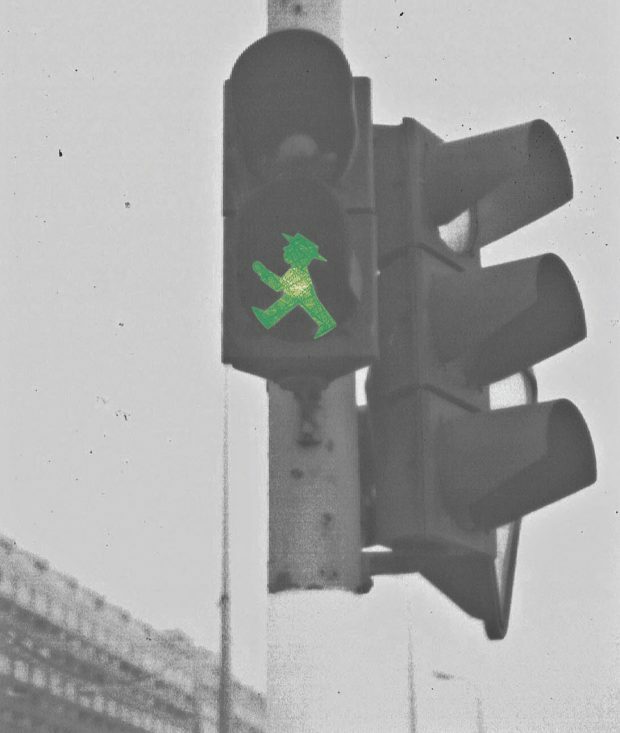 The constantly growing product range featuring the Berlin Ampelmännchen, and the team’s intensive PR work, have made the Berlin cult figures popular both at home and abroad. 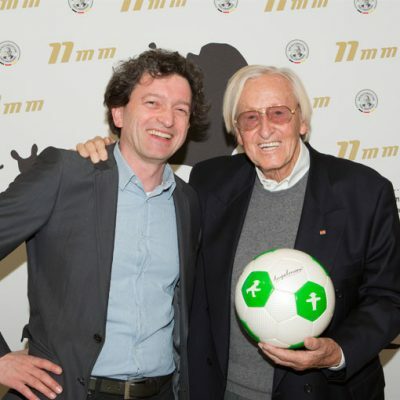 Through consistent trademark protection and licensing activity, AMPELMANN has now become a well-known Berlin brand. Karl Peglau, the father of the Ampelmännchen and Markus Heckhausen’s business partner, died on 29 November 2009 at the age of 82. 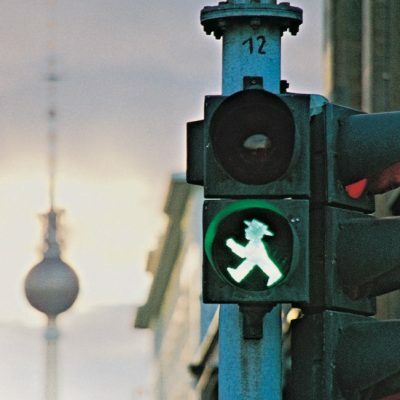 It was only thanks to the two men working together on a basis of trust that the figures from the East German traffic lights were able to achieve such a high degree of awareness and popularity – across all social strata.